In the wake of Black Lives Matter, how does the poem become a resonant source of resistance? Through his performance, Najee Omar pays homage to the longstanding relationship between black poets and the fight for liberation. Drawing from national to personal narratives, this performance set considers our very own blackness in conversation with life and death, the pervasive threat that dares to stop us all. 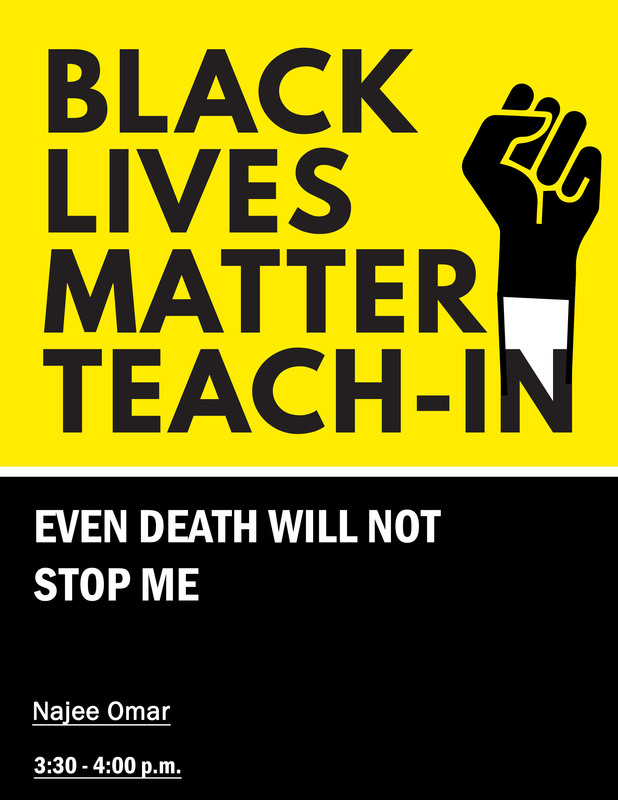 Najee Omar is a Brooklyn-based writer, performance artist, and educator creating a socially conscious dialogue through cross-disciplinary art.